Hey up talkers and fellow growers. 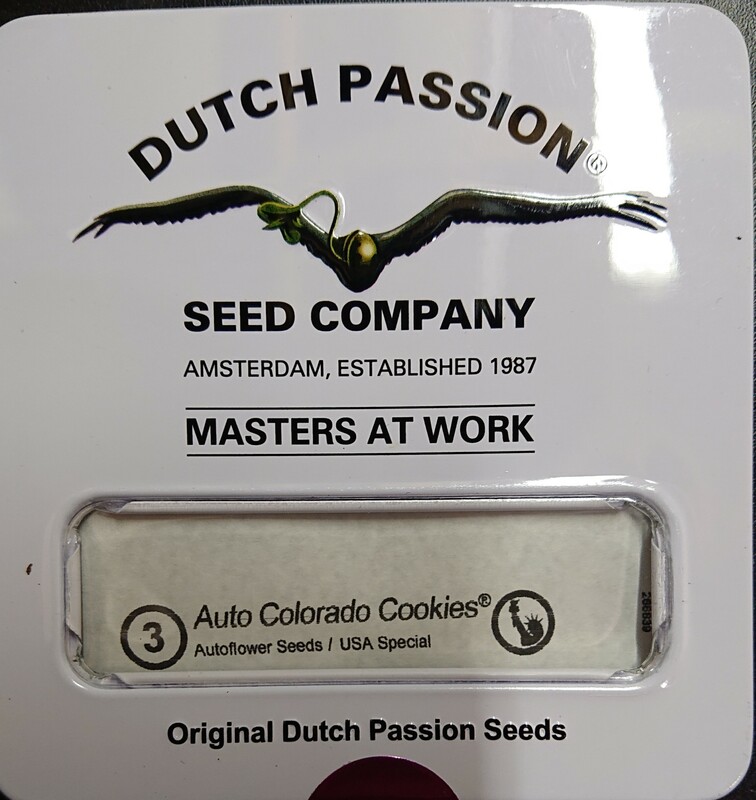 So grow attempt number 3 with some Dutch Passion Auto Colorado cookies courtesy of Dutch passion and Macky, for the grow out. Hopefully I can grow these to their full potential (I will try I promise) . Second grow was much better than my first grow and im looking to try and better it again. I have learnt alot being a member here in a very short space of time. Had alot of help along the way from alot of members (Mon the talk) . I am still a newbie but being grow number 3 I thought I'd post here instead of the newbie section. Hope you can follow along, there is always something going wrong in my diaries so I'll try keep u entertained haha. Equipment is same as before but will be upgrading, tent, lights, reflector all before these go into flower. Tent being first as I need more space I have gone for the secret jardin dr90v3. This will arrive next week. I have already upgraded extraction to a systemair rvk with cheapo speed controller (hope it works) , a new oscillating fan along with two more clip ons, 4inch inline intake fan (if needed). Fan heater and oil radiator if needed I'm gonna try run this grow cooler than the last. Lights will be 250w hps for veg and 400 for flower. Rhino Pro carbon filter. Will be running lights 24/0 until full flowering begins and switch to 20/4 humidity depending. 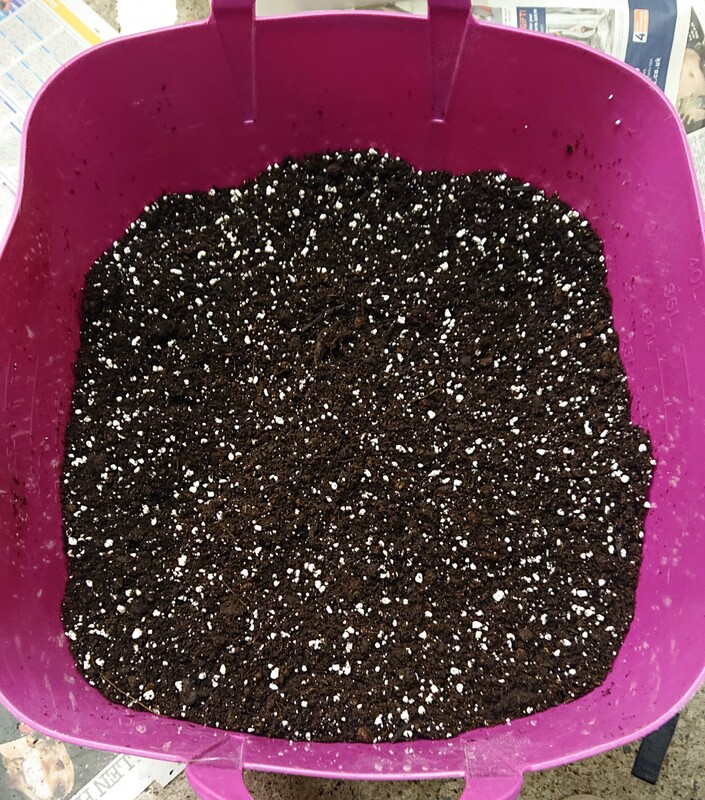 Mixing my own soil using a base of verve multipurpose compost. And adding some ingredients of my own. I had help with this mix from Gaz (hurry back mate). I'll be adding. 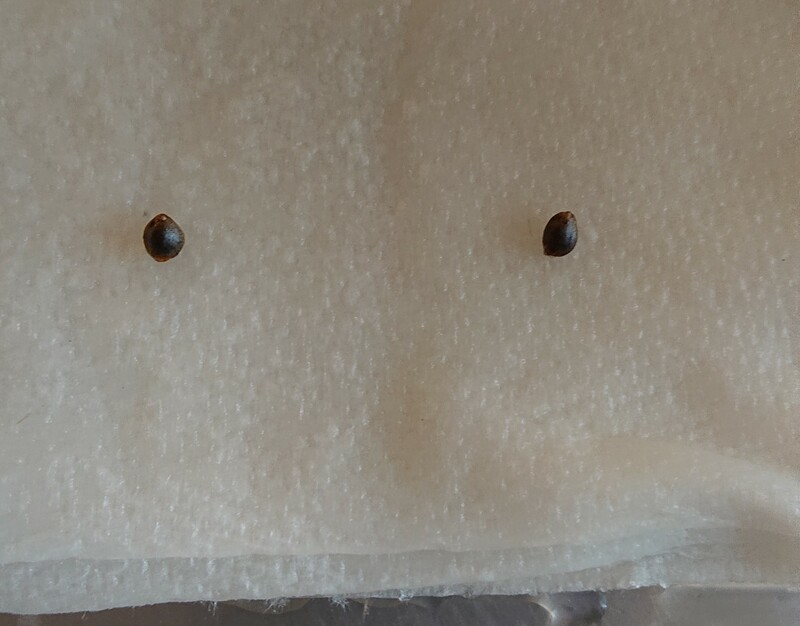 I will be soaking the seeds tomorrow morning and if both germ I may have an experiment with the 3rd. Anyways hope u all follow along and join in when u can. I'll be asking for some Sort of advise along the way no doubt. Nice mate, I really enjoyed growing these!! Good luck man, subbed up, smash it! I'm gonna give it my best shot dude. Have been looking at some of the pics online some very nice colours going on. I will have a shiny new parabolic (shinobi ultra) by flower time so I'm hoping I can keep the temps low enough for some nice colour. I think my temps have been too high at conapoy level before as buds seem to be really crispy at the top so hoping I can stop that with a decent vented reflector and even more air circulation. How big do these girls get? Not very by the video on their website dude. I can't rememeber exactly now. I'll be training them to keep em smallish anyways. I will have a tent 185cm tall so I think I'll be OK. Beans are in a glass of water until the morning then they will go into paper towel until tap roots show and then into their forever homes. I'm mixing the soil in the morning. Ah good luck with that one dude. Hopefully she's a good girl for ya. Great start both beans sank with the slightest touch this morning both in paper in a Tupperware on top of my boiler. 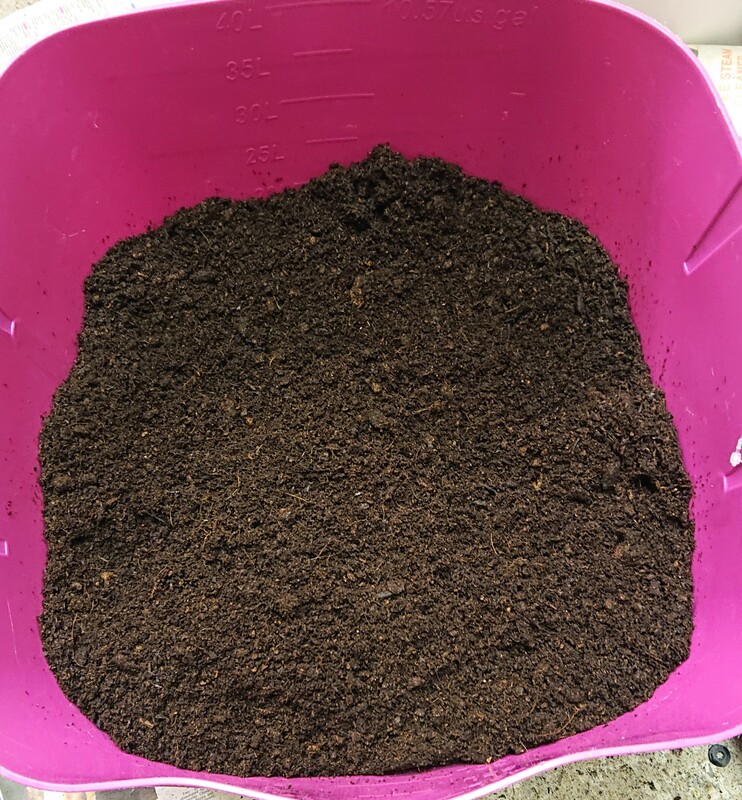 Some pics of my soil build. 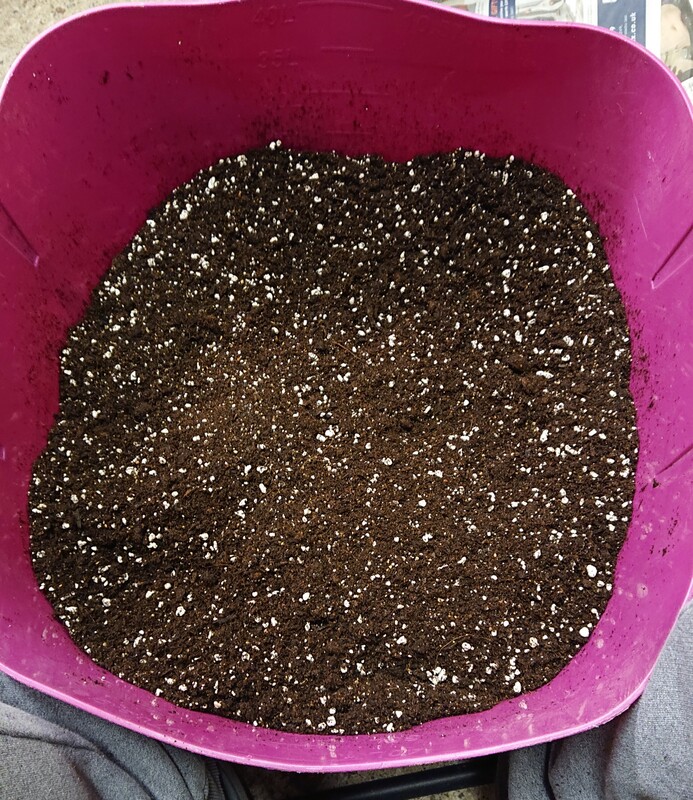 Started with 20ltrs of b&q verve multi compost, then added my perlite roughly 4ltrs, mixed that up then added all my ammendments and then gave it all a good mix for around 5 minutes. 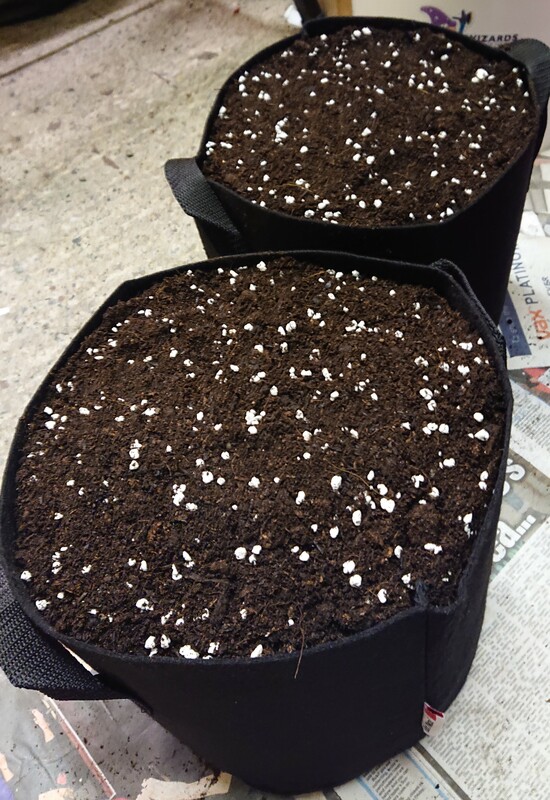 I filled my pots to around and inch or two from the top and filled with plain verve and perlite. Pots have been covered with film and left in the garage ready for when the tap roots are showing. 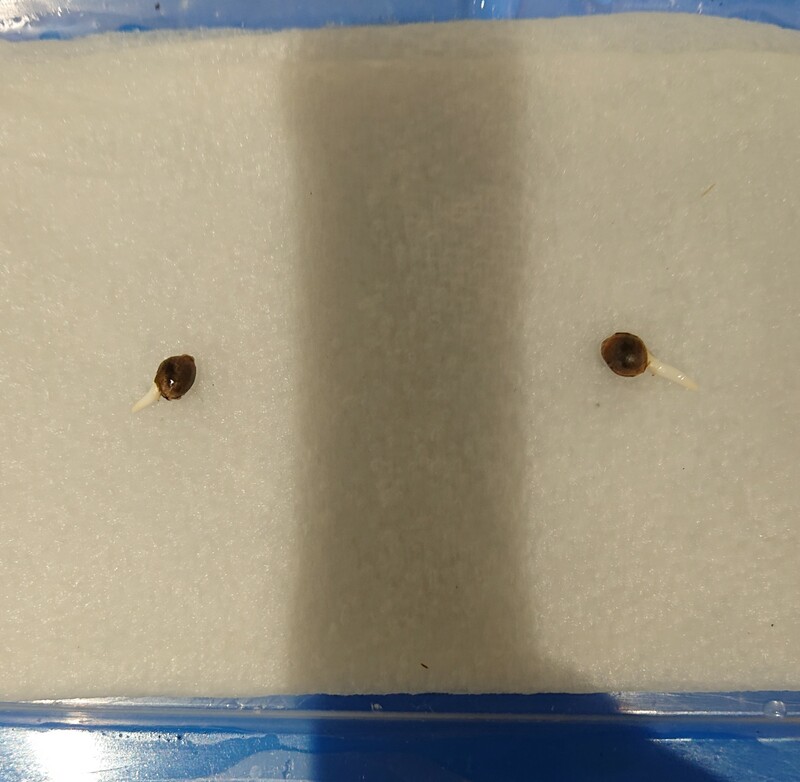 Tap Roots are out already. Gotta clean down my tent fit the new extraction and then they will be buried in soil. Getting the room the tent is in up to temp as we speak. Aiming for around 12-15c which will Mean the tent with the 250w hps will be around 25c. Still waiting on my heat mat . they are beautiful already lol.